This article will cover the much debated subject on most traders’ minds when they first take their baby steps into the Forex market. You should always be open minded and think before you take action. If something is to good to be true, it normally is! Forex Robots vs. Forex Education; you be the judge. Forex autotrading is a trading strategy where buy and sell orders are placed automatically based on an underlying system or program on the foreign exchange market. The buy or sell orders are sent out to be executed in the market when a certain set of criteria is met. Autotrading systems, or programs to form buy and sell forex signals, are used typically by active traders who enter and exit positions more frequently than the average investor. The autotrading criteria differ greatly, however they are mostly based on technical analysis. As we all know market conditions change all the time due to many different factors. 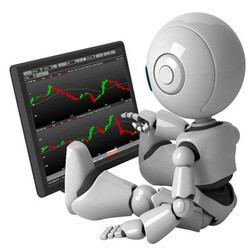 Forex robots are programmed during a certain market condition and strictly follow the set criteria that needs to be met. 99% of the criteria are based on indicators signaling that “x, y or z” is going to occur. The software is not going to adapt to changing market conditions like increase in volume, volatility, news, etc. Those factors may require stop loss, take profit and also break even levels to be set differently. It may have worked back then but lacks the ability to make the changes it needs to, at this point in time. Changing settings, testing what works on a daily or weekly basis is just not convenient, and in theory it goes against the whole purpose of using something automated in the first place. As explained in the Day Trading Forex Live Course. Smart Money (the 10 largest banks that control the forex market) manipulates and traps, using the well known main stream trading methods to their advantage. They know very well when indicators role over, pointing to a given direction! Your robot does not know that the market is being manipulated, trying to trap traders short. It simply does what it was programmed to do. That indicated a selling signal because of MACD, MA etc. was pointing down. This might get you in some trades you could have done without. Ask yourself: Why is the big majority of all indicators and EA’s free? 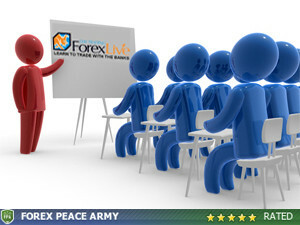 The Forex robot accuracy is more often, than not, completely based on back tested results and estimates. There is a big difference between live and back tested results. Most people find this out the hard way. Do yourself a favor and place 2 moving averages on your charts. Pretend as if you are trading the MA crosses. Looking back at past history it might look to good to be true, but live is a different story. Just like all indicators its lagging and repaints as the market moves. This will be discussed more in a later article. This can be positive and negative, depending on each individual. Any professional or profitable trader will tell you that experience and screen time is of utter most importance! They will also tell you that fear and greed can be your biggest enemy. A programmed robot does not have the ability to make choices based on the latter mentioned, but also does not gain experience nor screen time in the process. Lacking the ability to gain experience and screen time is going to come and kick you from behind sooner than later. Arguably the only thing we should learn from a Forex robot is to set the emotions aside. Adopt the ‘Set and Forget Trading Plan’ and let the market play out, either hitting your stop or profit target. Easier said than done for most traders. Part 1 of this article only highlights the 4 most important factors you should consider before making use of a Forex Robot but surely is the most critical when it comes to the end results. Anything worthwhile is worth working for by putting in the time and effort. What may look like a quick fix and easy way out now might leave you disappointed and without trading capital sooner than you expect. I’ll leave you with the following thought: If profit claims from FX robots, indicators and EA’s were true, why don’t we see millionaires all over the retail Forex industry? – “The retail trader with no experience made millions from Forex Robot.” No, never seen that heading anywhere. FAPTurbo doubled my account in less than two months……….then zeroed it out in less than 2 days. It’s a “highly regarded EA”. Learn from other’s experience and don’t waste time and money on Forex Robots. I’m sorry to hear that mate, But unfortunately it’s the cold hard truth. Glad you learned from your mistakes. I really hope I have read about this months ago.